We’re a week early this month in an effort to dodge the late May bank holiday. May 18th is the day to be there. It’s a killer show featuring the likes of sketch duo Sam & Tom, the cerebral and charming Daniel Nicholas, delightful stand-up noob Jennifer Banks & everyone’s favorite weirdo Harriet Dyer. You’d be silly to miss it. 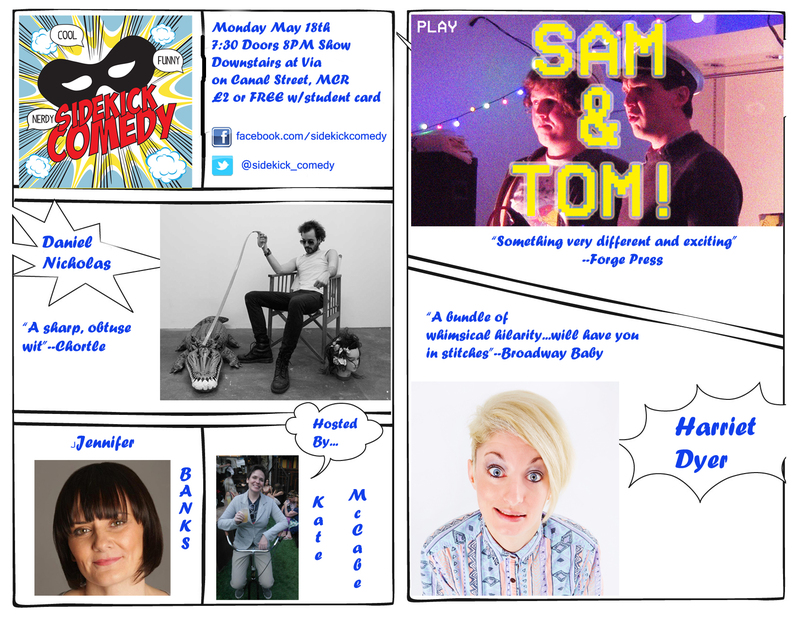 This entry was tagged Daniel Nicholas, Harriet Dyer, Jennifer Banks, Kate McCabe, Manchester Comedy, Sam & Tom, Via Fossa. Bookmark the permalink.